As we count down to the first Der Klassiker of 2018/19 season on November 10, we delve into the best striking talents to eye on the box. 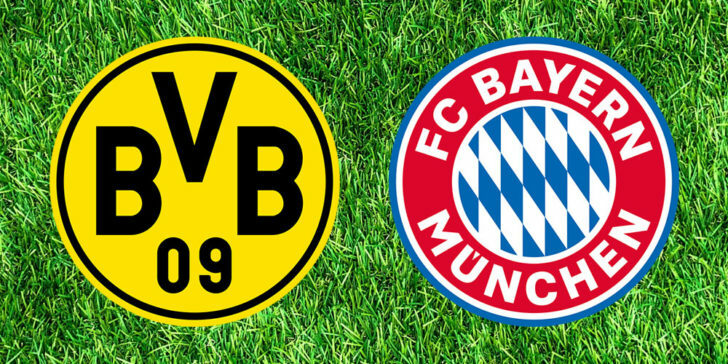 Our Dortmund vs Bayern goalscorer predictions favour Bayern’s Lewandowski and Rodriguez, and BVB’s Reus, Alcacer and Sancho. According to online sportsbook news in Germany, the last time Dortmund scored more than once against Bayern was in April 2014. Since then, they have penetrated the Bayern wall only five times in last eight games. This time it is shaping up to be a completely different story. The bookies’ Dortmund vs Bayern goalscorer odds promote Reus, Alcacer and Sancho from BVB. On the other hand, Bayern might have a chance to celebrate some goals coming from Lewandowski and Rodriguez. BVB captain Marco Reus is enjoying his best ever start in Bundesliga with six goals and four assists to his name. Therefore, he will pose a big threat for the opposition’s defenders. The odds are at 2.9 on Reus to score anytime against Bayer. Dortmund’s Spanish forward Paco Alcacer is also expected to score with odds at 2.6. He has bumped his record to seven goals in his first four appearances. His ratio is at 1 strike per 33 minutes. If Bayern’s defense take their eyes off him for a second, they might go search for the ball in the back of their net. The other striker that has a good chance to celebrate his first goal against Bayern is Jadon Sancho (3.4). Though Sancho is just 18 but he’s already striking fear into the hearts of the opposition’s defenders. He scored 4 goals and assisted in six other goals. He is one of most exciting talents to emerge in the Bundesliga this season. With assistance of his idol Reus, Sancho could write his name in Der Klassiker history books. Lewandowski is the sixth on the all-time list of top scorers in the history of Bundesliga. According to online sportsbook news in Germany, James’ second Bayern season shows a slight dip in performance, following a late return to pre-season training. He has already proven himself at Signal Iduna Park, scoring one goal with two assists when Bayern thrashed (6-0) Dortmund last season. If he gets a glimpse of opportunity on the box, he will surely take the advantage with odds at 3.1. Robert Lewandowski (2.05) is the sixth on the all-time list of top scorers in the history of Bundesliga. Therefore, he is the favourite at Betvictor Sportsbook. He should be on top of your list too, when betting on the Dortmund vs Bayern goalscorer. Lewandowski scored hat trick last game at Signal Iduna Park, completing 10 Bundesliga goals in eight games against Dortmund.